Handle: 12 x 4cm/4.72" x 1.57"
Note: Needles are sharp, keep them away from children. 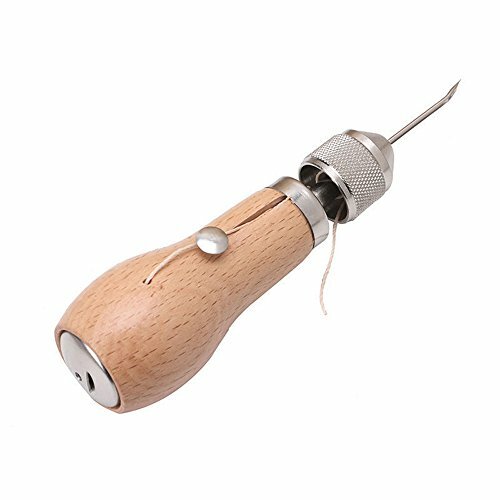 This sewing awl is the ideal tool for repairing and sewing leather items! A hardwood handle and three steel needles that are durable enough to mend your leather coats, seats and saddles. The sewing awl comes with heavy duty polyester thread to help you get to work right away! If you have any questions about this product by Breynet, contact us by completing and submitting the form below. If you are looking for a specif part number, please include it with your message.